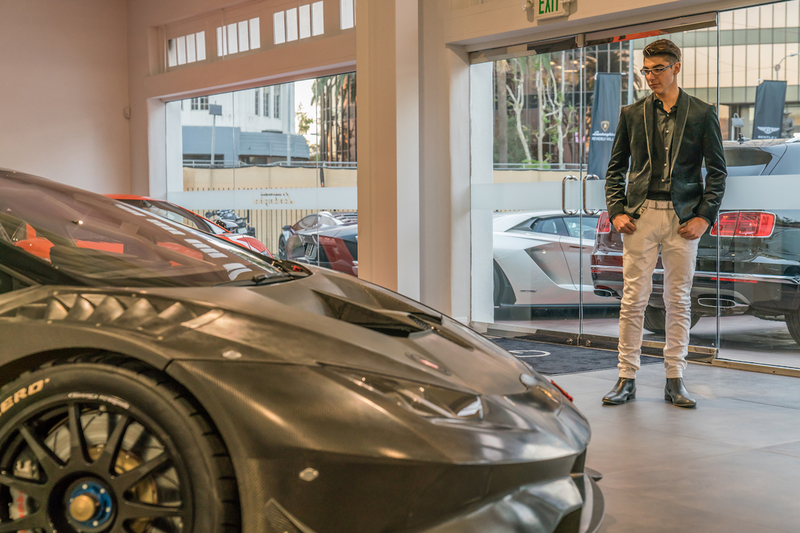 The first Lamborghini Huracan Super Trofeo Evo race car on U.S. soil was recently delivered, and the lucky recipient is a 14-year-old high school student from La Cañada, California. 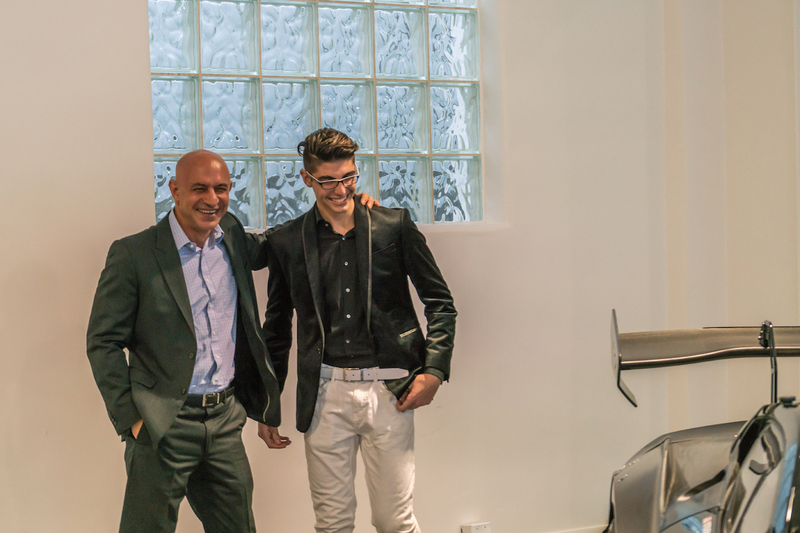 Steven Aghakhani took delivery of his new racing-bred Lamborghini last Thursday after his father surprised him with it at Lamborghini Beverly Hills. 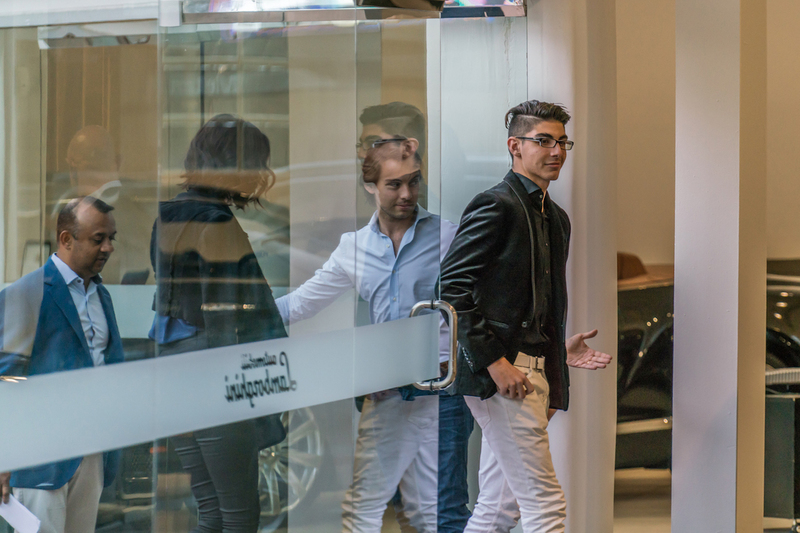 If you think Aghakhani is just some spoiled rich kid who wanted the coolest car Lamborghini currently offers, you're sorely mistaken. 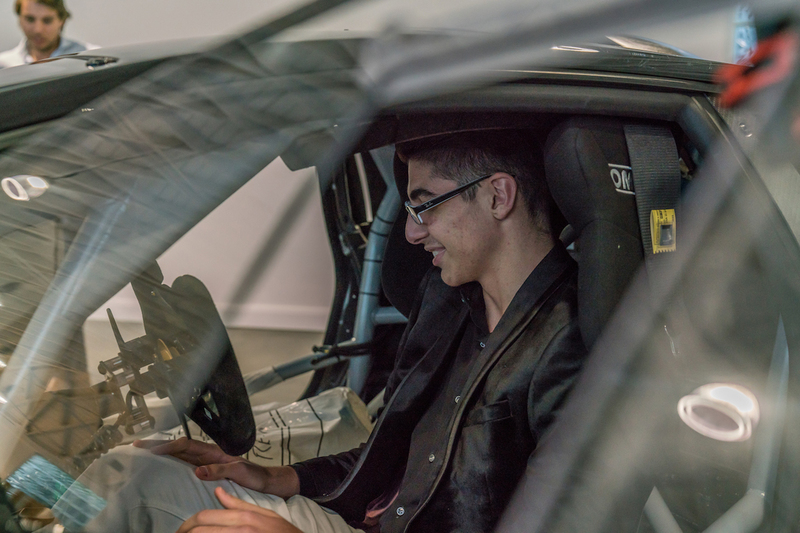 According to the Los Angeles Times, the 14-year-old has been racing cars for half his life. He started racing go-karts at age 7, worked his way up to the NASA Pro Series Southern California Regional Championship, and is training to eventually race in the Rolex 24 at Daytona. He also enjoys hitting 200 mph whenever he can. 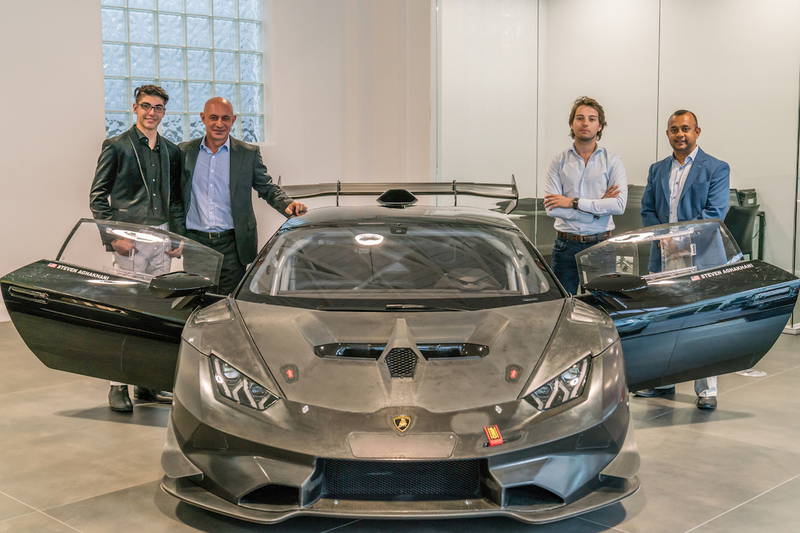 The new Huracan Super Trofeo Evo was built by Lamborghini Squadra Corse, with help from racing chassis builder Dallara Engineering. It's essentially a new body for the already-potent Huracan Super Trofeo, but the carbon fiber kit improves aerodynamics and adds plenty of downforce. The Evo is powered by a racing-tuned version of the Huracan's 5.2-liter V-10, pumping out 620-horsepower and 413 pound-feet of torque. It also includes an X-Trac six-speed sequential transmission, Ohlins dampers, and MOTEC electrical components. Aghakhani will get some quality seat time in his new Lambo when he takes to the track with his team Steven Racing in the spring. The LP620-2 may be the best sounding GT car this season. This takes 'bedazzling' to the next level.